To say that the market for pressroom chemistry is flooded might be a bit too much of a pun, but the analogy is fair nonetheless. There are numerous suppliers all vying for market share. Quality is more involved than simply ensuring the chemistry does the job. 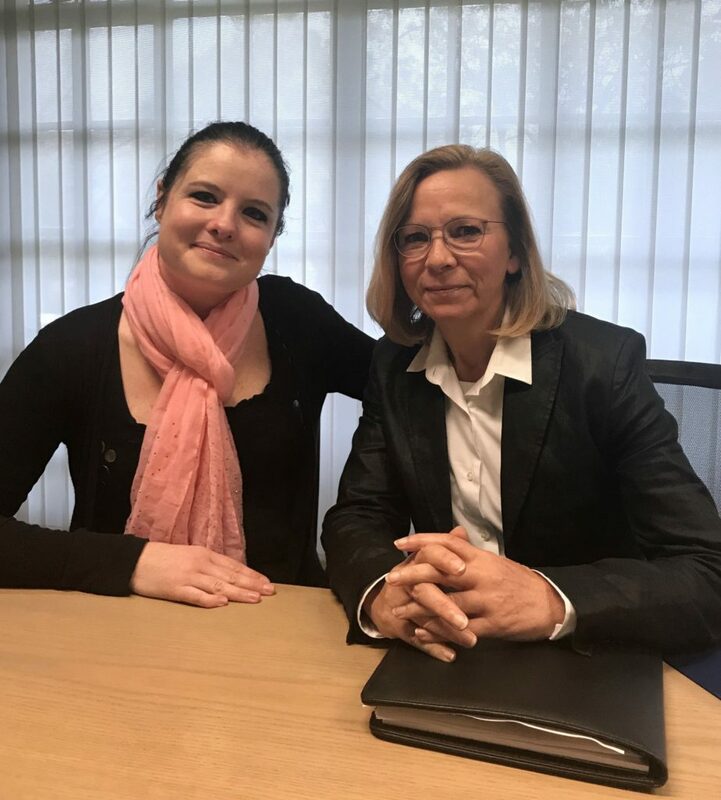 It is for this reason that Gundela Penz, Export Manager from DC DruckChemie in Germany, visited South Africa recently to meet with the team at Thunderbolt Solutions. The relationship between DC DruckChemie and Thunderbolt Solutions extends back over two years. Thunderbolt offers the extensive range of DC DruckChemie pressroom chemistry into the local market. Gundela came to South Africa to provide the staff at Thunderbolt with a refresher course on the products which the company manufactures. The product range from DC DruckChemie is extensive with more than 4000 individual solutions, many of which have been designed and formulated in close co-operation with OEM suppliers and also specific customers to meet definite requirements. Founded in 1971, DC DruckChemie focuses on the manufacture and formulation of ecologically friendly printing chemistry. It is a wholly-owned subsidiary of Langley Holdings and supplies chemistry to customers around the world. Gundela specialises in working with distributors into specific markets with the aim of assisting more printers to find the right mix of chemistry including fountain, damping and washing solutions, as well as silicone for the heatset market and various other sundry items. Another area in which DC DruckChemie focuses is operator health and safety. All its products adhere to international safety standards ensuring that they do not negatively affect the people using them. An important aspect of the service from DC DruckChemie is the ability to develop or expand on the capabilities of a particular product to make it more user-friendly or to give it enhanced capabilities. The R&D department works to ensure that its products are not only economically viable but also meet the specific needs of its customers. This article appears in The GAPP Magazine, Southern Africa, Volume 7 Issue 4, 2017. Previous post Kodak and Novus Holdings celebrates biggest KODAK PROSPER Technology Installation in the Southern Hemisphere at Drupa 2016 Next post Tips and tricks on maintaining Stitching Heads.